I am proud to serve as the State Senator from Illinois’ 34th Senate District. I hope you’ll find this site a useful resource in keeping up to date with what’s happening in our district and in Springfield. Please contact any of my offices with questions or ways I can better serve you. SPRINGFIELD – The Illinois Chapter of Mothers Against Drunk Driving (MADD) awarded State Senator Steve Stadelman (D-Rockford) with the 2015 Legislator of the Year award recently. The award was given in large part due to legislation passed by Stadelman earlier this year that requires offenders with two or more DUIs and first-time offenders whose DUI resulted in death or great bodily harm to obtain an ignition interlock device. “MADD graciously thanks Senator Stadelman for his commitment to end the devastating, completely preventable crime of drunk driving. Senator Stadelman has championed legislation that will save lives in Illinois and keep drunk drivers off the road. We look forward to continuing to work together toward the ultimate goal of No More Victims,” said MADD National President Colleen Sheehey-Church. Ignition interlock devices, similar to breathalyzers, test to ensure drivers are not impaired before getting behind the wheel. 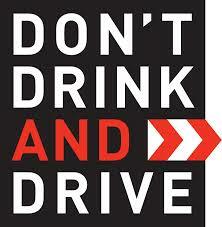 If alcohol is present in the drivers system, the vehicle will not start. “MADD has done incredible work to save countless lives over the last 35 years. It was an honor to work with them to prevent drunk driving accidents in Illinois, and I look forward to continuing to work with them in the future,” said Stadelman. Stadelman’s proposal, Senate Bill 627, was signed into law by the governor in late August. 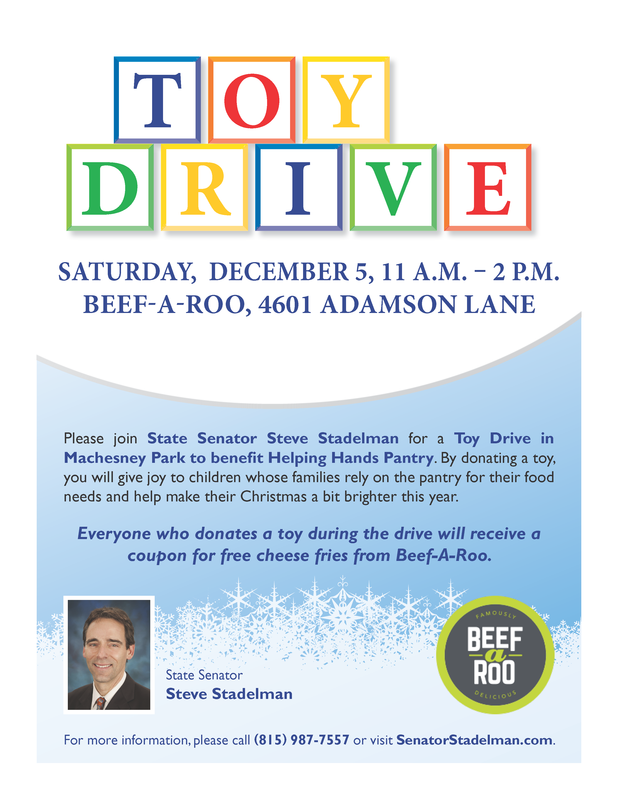 Please join State Senator Steve Stadelman for a Toy Drive to benefit the Helping Hands Pantry this Saturday December 5 from 11 a.m. - 2 p.m. For more information, click on the flier below. SPRINGFIELD – In November 2014, Cherry Valley firefighters arrived at a house fire only to find a hydrant that was inoperable and to be used only for flushing, not fighting fires. As it turns out, the hydrants were broken and no one had told the fire department. While the house burned, they had to wait for water to be transported to the scene before the fire could be extinguished. Today, Senate Bill 373, sponsored by State Senator Steve Stadelman (D-Rockford) was signed into law by the governor. Stadelman passed the legislation through the Senate earlier this year. “Firefighters must know the working condition of the hydrants they use to be able to effectively put out fires. 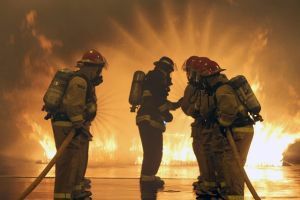 Thanks to this new law, no family in Illinois will have to watch their house burn to the ground because the firefighters hadn’t been updated on the status of their hydrants,” said Stadelman. The new law is effective immediately. 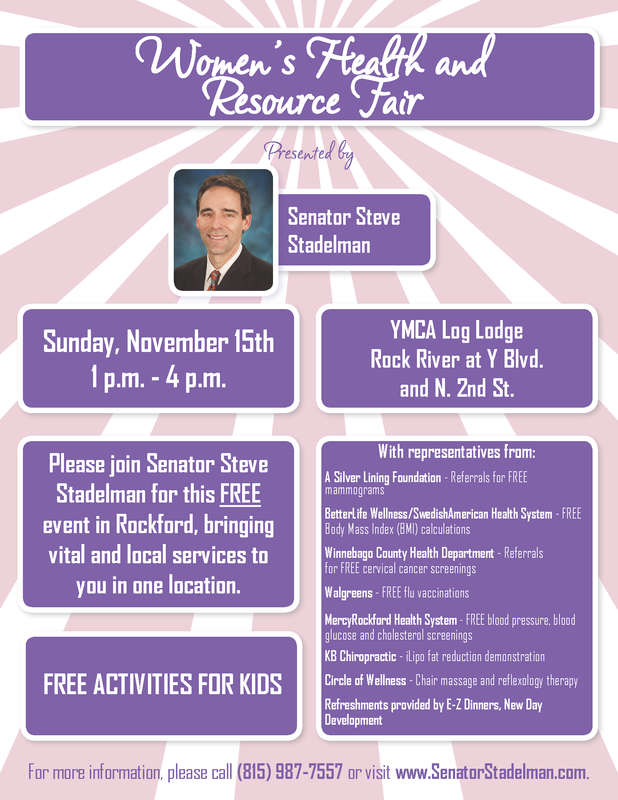 Please join State Senator Steve Stadelman at an upcoming Women's Health Fair Sunday, November 15 from 1 - 4 p.m., at the YMCA Log Lodge. For more information, see the flier below.